Is it really important to be FOOD-COMPATIBLE with someone you date?This is next-level. Samsung just launched a new app for their smart refrigerators called "Refrigerdating." It's a Tinder-style app, but instead of swiping on pictures of potential dates, you swipe on pictures of what's in their fridge. 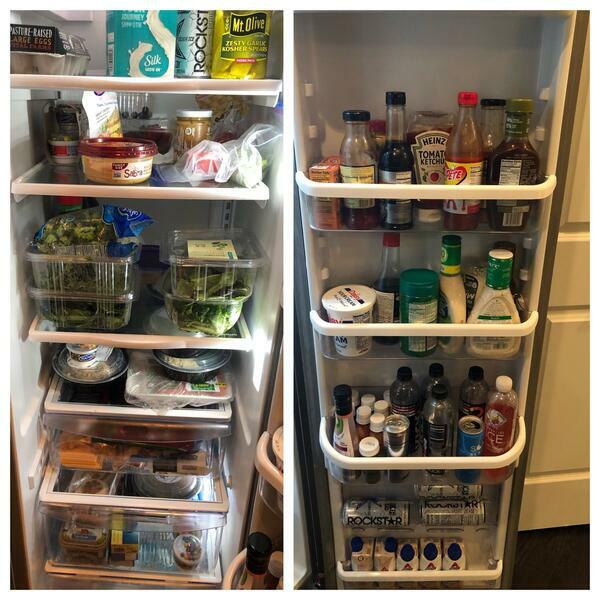 A Samsung PR rep says they made the app because,"We hope people can meet under more honest or transparent circumstances with the help of the contents of the fridge, because that can tell you a lot about the personality." And you don't HAVE to own one of Samsung's $4,000 smart fridges to join. You can use the app in your phone's browser at Refrigerdating.com; you'll just need to upload a pic of the inside of your fridge. And the Bert found this out: SOME PEOPLE DON'T REFRIGERATE THEIR PEANUT BUTTER. Which, for most of us, seems normal...because we keep our peanut butter in the pantry. BUT NOT BERT. Who you siding with? And what else do you weirdos refrigerate / not refrigerate? WELL BERT HAS ANSWERS AND THOSE ANSWERS ARE FOUNDED IN SCIENCE.